...Leading students in spiritual growth by connecting them to God, each other, and service. We believe teenagers are quite honestly some of the most exciting, passionate, and determined people that walk this earth. Seriously! Have you ever watched teenagers who have bought into the reality that Jesus changes lives, that He is worth following, and that He can do something through them that can change the world? 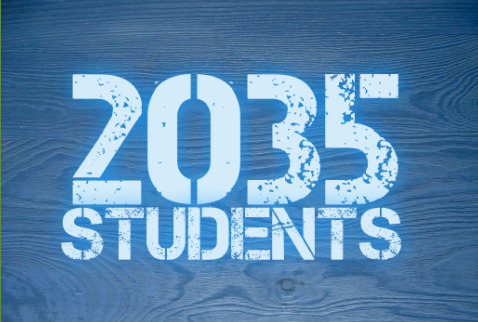 The 2035 Student Ministries is an organic group of students, leaders, and parents who are on a journey of falling more in love with Jesus, connecting with each other in relationship, and investing their lives for the advancement of the Gospel. Every student has a story and is at a unique place in their journey. Our staff and volunteer leaders are eager to walk with teenagers and lead them in spiritual growth whether that is in our Jr High ministry, or Sr High ministry. From the high-energy student worship services, intentional small group Bible study opportunities, missional projects, and camps you will see that we understand teenagers and develop inventive ways to reach them.